The Dancing Monks of Assam use the arts to dedicate their lives to the Hindu god Krishna, and now they will share their devotion with the Drexel University community as part of the monks’ first United States tour. With assistance from the Philadelphia-based Sattriya Dance Company and the Westphal College of Media Arts & Design, eight monks have travelled from monasteries on the river island of Majuli in the Northeast Indian state of Assam to teach the 500-year-old Sattriya dance, which honors Krishna and his incarnations, through a series of master classes, demonstrations and a performance on April 28. Bora, a Philadelphia resident with Assamese roots, explained how Sattriya is grounded in the basic foundations of yoga poses that are seamlessly strung together. Explicit hand movements and facial expressions help to bring the dance — and the stories of Krishna as recounted in the ancient epics — to life, offering a tactful balance of two cosmic energies: the “tandava,” the vigorously masculine motions and the “lasya,” the softer, feminine movements of grace. “This dance is a living artform. We keep the rhythm with our torso almost like the waves of a river,” she said, explaining the profound fluidity of the movements that are visibly less geometric than other classic Indian dances. According to Bora, while new choreography has been added to the repertoire since it first originated, the overall technique has remained the same across the centuries. The original purpose has also persisted over the years. Satya Nath Borah is among one of the monks that made the trip to the U.S. The 18-year-old was sold into the monastery when he was one-and-a-half, and devoting himself through his dancing is the only life that he knows; a life that he has grown to love. 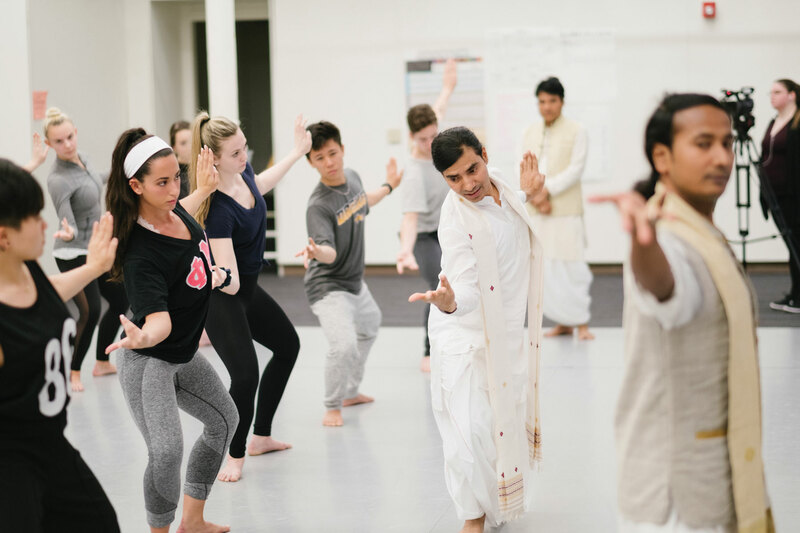 In quickly-spoken Assamese that Bora helped translate, he proudly declared that this trip to Philadelphia has strengthened his passion and has encouraged him to continue learning about the dance. He is happy that the visit will help spread the dance in the U.S. because he said, ultimately, it’s a living tradition that can only grow and survive if the outside world learns it. He explained that there is a lack of interest to learn the dance outside of the monasteries, so it warms his heart that Drexel students are so dedicated to learning it. Bora explained how Sattriya is a manifestation of love, peace and beauty that advocates for an equal society that is virtually classless and unified. Today, we don’t have to live in a monastery to appreciate the universality of the dance, but its origins endeavored to contain the dance. Bora explained how the dance remained solely within walls of the monasteries for centuries until the 1960s. In 2000, it became one of the eight official classical dance forms of India. Women began having access to the dance during the dance’s transformation and are becoming ambassadors of the style, although men and women are still prohibited from performing the dance together. While the dance has made its way into the public sector, Bora explained how it remains a vital component of worship rituals in Assam, and it continues to be practiced and nurtured by celibate monks. And for Bora herself, Sattriya has also become her “way of being” and she launched the Sattriya Dance Company in 2009 with a mission to promote the dance and the monks behind it. When Bora left Assam, she experimented with other classical Indian dances, such as Kathak, but her muscles couldn’t forget the traditional movements of Sattriya and neither could she; after almost 16 years away from the art, she followed her heart and returned to the style that had become an integral part of her. “I went back to it and it was like I never left,” she said. She frequently returns to Assam to continue her studies of the dance. While Bora has always been personally and deeply connected to the dance, for years her goal has been to ignite a similar passion in others by bringing the monks to the U.S. A grant from the Pew Center finally made that possible. Bora and the monks came to see a textile known as “Cloth of Vrindavan,” an elaborate silk cloth once woven in Assam, on exhibit at the Philadelphia Museum of Art, where they experienced an emotional performance of devotion. According to Bora, uniting with Drexel during the journey seemed like the perfect opportunity. 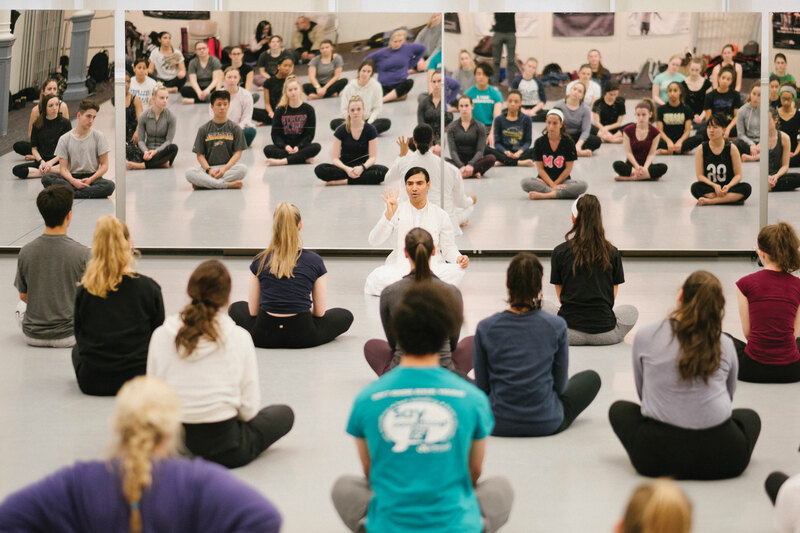 And students who attended a master class agreed that dancing alongside the monks was a deeply meaningful experience that revealed not only the distinctive moves of Sattriya, but important cultural lessons as well. 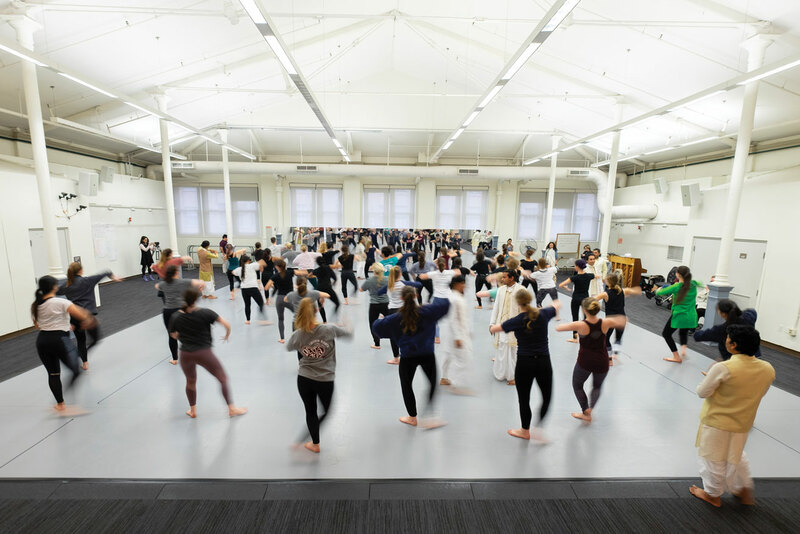 Adriana Pillot, a senior dance student, said it was an interesting experience that greatly differed from the modern and ballet styles of dance that she is used to. “There’s a lot of focus on gestures of hands and low-level movements,” she said. Case said the monks were perfect teachers who practiced impressive patience with the students and offered a glimpse of their lives back in Assam. Through the experience, Drexel students have learned immensely, but Borah can testify that the monks will also bring knowledge, as well as many memories, back to the island. He has enjoyed building experiences outside of the monastery, although he misses his friends back at home. He hopes to return to Philadelphia again one day. Borah and the other monks will conclude their visit through a performance titled “An Odyssey of the Spirit” April 28 at 7:30 p.m. in the Mandell Theater. Bora will be performing separately to honor the rules of the order that prohibit men and women from dancing together.